No waiting for your gas bottle refill with SWAP'n'GO BBQ gas bottle refill exchange. Get an 'instant gas bottle refill' by swapping your 9kg or 4kg gas bottles. SWAP'n'GO BBQ gas bottle refill comes in 8.5kg & 3.7kg gas bottle refill sizes and you can exchange any brand of 9kg or 4kg gas bottle, even if expired. SWAP'n'GO BBQ gas bottle refills are all leak tested and have their expiry dates checked. When you get your SWAP'n'GO gas bottle refill, you don't have to worry about checking test dates when you swap, as SWAP'n'GO gas bottles will always be in-date and you own the SWAP'n'GO gas bottle you received. Sale bottles are available for purchase without needing a trade-in. Digital scales are used for SWAP'n'GO gas bottle refill, to ensure accuracy. So, SWAP'n'GO BBQ gas bottle refill is truly Fast, Safe & Easy. ♦ Help is at the ready! ♦ Receive an inspected, tested and safe gas bottle refill. ♦ You never have to worry about checking test dates, SWAP'n'GO gas bottles are always in date. Keep it clean and keep it cold until you cook it or eat it. 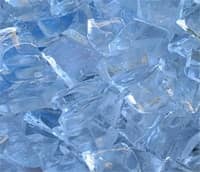 Makes sure you have enough ice. Have enough dishes so there is no cross contamination between uncooked and cooked meats. Practice good food safety and preparation. You should always season the grill. Close the grill and allow it to sit for about 20 minutes then wipe the grill clean with a fresh damp cloth. The concept is the same as the seasoning of a cast iron fry pan. So, how do you position the BBQ lid? 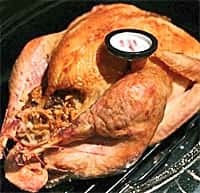 Just as some things are cooked on the kitchen cooktop and some in the oven, the type of food you are cooking will determine if you leave the BBQ lid up or down. Generally speaking, do what you would do if you were cooking indoors. 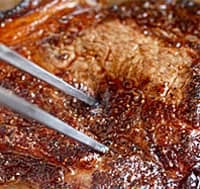 Steaks, burgers, and veggies, that need to be seared or cooked from the outside inward, should be placed directly over the burners. A little olive oil brushed on the steak will prevent it from sticking. Do NOT use salt on the meat before cooking, as it draws out the moisture and makes the meat dry. If you do salt it as you start cooking, use coarse salt to get a nice salty crust. A bit of coarse black pepper can be nice, too. Always pre-heat the grill and take the meat out of the refrigerator about 15 minutes before cooking. Sear the meat for 90 seconds on high heat and then rotate it 1/8 of a turn (45 degrees) and sear again. This will give it an attractive crosshatch pattern, assuming you are not cooking on a flat plate grill, and help seal in the natural juices. Remember to reduce heat to normal cooking temperature after searing. You should only turn the meat once. Be patient! The meat needs room, too. Don't overcrowd the grill or it can heat unevenly. There should be at least 2cm between the pieces of meat. Also, make sure you have enough gas so that the cooking session is uninterrupted. To retain the natural juices, don’t poke holes in the meat. This includes piercing the sausage skins. Use long handled tongs or spatulas instead of forks. Also, don't mash down on meat and burgers, as it forces out the natural juices and leaves you with dried out meat. Let your grilled meat "rest" for five minutes after cooking, covered loosely with foil, to ensure more tender and juicy results. Letting the meat rest also applies to roasts and other cooked meats, as well. Whole chickens, roasts, and most fish fillets require indirect heat. Try preheating the grill with all burners then, when the grill is hot, turn off one side of grill, put the slow cooking food over the unlit burners and close the lid. In effect, it becomes an oven. This will help cook the meat evenly, browning it while keeping it juicy and tender. Use a meat thermometer, where appropriate, to determine when it is done. You can use aluminium foil to create little cooking pouches for delicate foods, like fish fillets. Cook away from the lit burners or place the pouch on the warming rack, if you have one. Be careful not to puncture the foil when lifting it off the grill. You can toast bread, cook delicate foods or just keep cooked food warm by using your warming rack. Wood chip smoke can enhance the flavour of your food. You put the wood chips in a steel smoker box or in a small aluminium foil tray within the BBQ. Hickory is a good all-round choice, if you are just starting. Smoker boxes and wood chips can be found at BBQ specialty stores. Follow the wood chip supplier’s instructions. 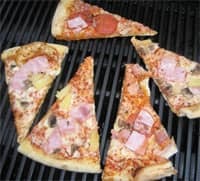 Did you know that a gas grill is the perfect way to reheat pizza? Just set the BBQ on low, preheat, put the pizza directly on the grill and close the lid. Heat until cheese starts to melt. You will get more even heating with the lid down. Check frequently to avoid overcooking. 14. Flare Up? Lid Down! Use lean cuts of meat and/or trim away the fat to reduce the chance of flare ups. Make sure the grease tray is empty before you start, too. Very high temperatures should also be avoided. However, if it does happen, flip down the grill lid and turn OFF all burners and the gas bottle, if safe to do so. When the flare up is over, you can resume cooking. 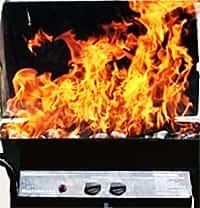 NEVER spray water on BBQ flare ups or on any grease fire. For more intense or varied flavours, consider using meat marinades. You marinate the meat before you BBQ, as instructed by the marinade maker or recipe. 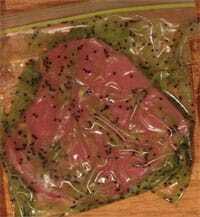 You can use large freezer bags for marinating. Just put in the meat and marinade, seal and shake. Refrigerate, shaking it occasionally, until you’re ready to BBQ. Make sure you drain off any excess marinade before cooking and do NOT pour it over the meat while cooking. If your BBQ is equipped with a side burner, you can use it just like a kitchen cooktop. This adds to the selection of dishes you can choose to cook outdoors. Watch this short 2:56 video for some amazing BBQ cleaning tips including the 'Great Steam Trick'!